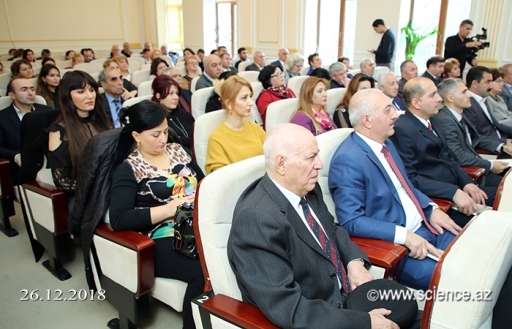 Scientific-practical conference titled “Dereleyezli ustad Ashug Jalil” dedicated to the 150th anniversary of Ashug Jalil was held by the Institute of Folklore of ANAS, Azerbaijan Ashugs Union and “Daralyaz” patriotic propaganda public union. 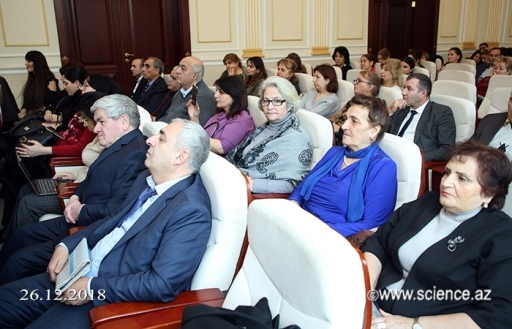 The event was opened by academician Mukhtar Imanov, director of the Folklore Institute, and spoke about the life and creativity of Ashug Jalil. He said that the creativity of the end of the nineteenth and beginning of the twentieth centuries was left out of research for a long time, and some studies had been conducted only over the last 30 years. 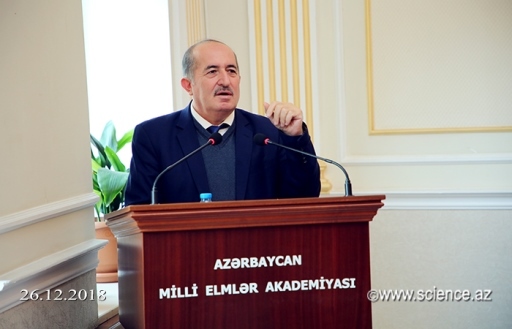 He was born in Dereleyez region of the Western Azerbaijan. 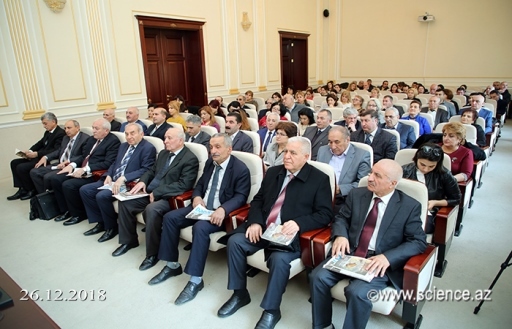 He had migrated to Nakhchivan in 1918 as a result of the Armenian genocide and that had an important service for the development of ashug creativity. 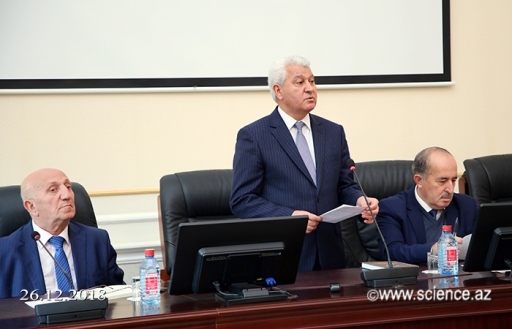 M.Imanov emphasized appeal to Vasif Talibov, chairman of the Supreme Majlis of the Nakhchivan Autonomous Republic, for his mosque in Nakhchivan. 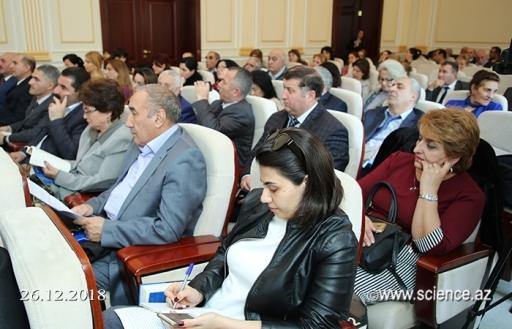 He also emphasized the importance of gathering and preserving the material-cultural samples of the historical lands of Irevan, Zangazur and Goycha of Azerbaijan and transferring them to future generations. 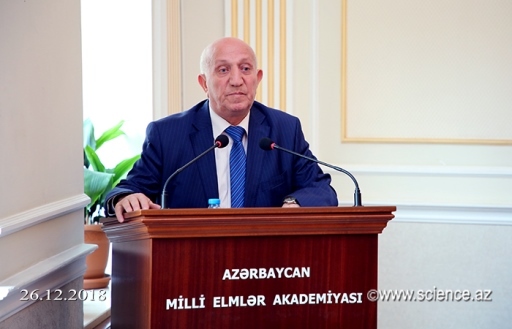 Then, chairman of Azerbaijan Ashugs Union, Professor Maharram Gasimli and deputy chairman of the “Dereleyez” patriotic propaganda public union Sevindik Huseynov spoke about the characteristic features of Ashug Jalil’s activity. 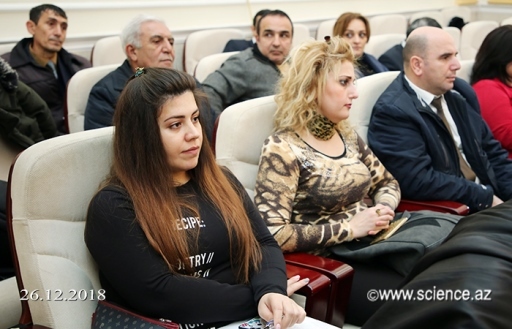 Department Chief of Folklore Institute, Ali Shamil, doctor of philological sciences, Aziz Alekberli, Ph.D. in philology Ali Safolu and others made reports at the meeting. 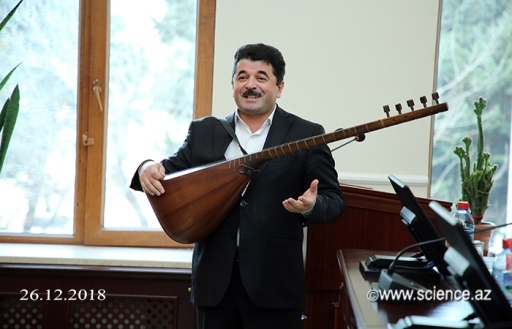 Within the framework of the conference, the Deputy Chairman of the Azerbaijan Ashugs Union, Doctor of Philology, Ashig Altay performed the melodies “Jalili”. All rights are reserved. Using the writings one must based on our site. 2008-2015.